​Review of Sweet Land at Taproot Theatre Company, written by TeenTix Press Corps Member Emily B.! The battle cry “Us versus them,”and the brutal labeling accompanying it, is all too familiar today. One might not expect a seemingly simple historical fiction musical to offer a relevant response, yet Taproot Theatre’s Sweet Land does just that with touching, convicting, and joyful power. Sweet Land tells the story of a young German woman, Inge Altenburg, who travels to Minnesota to marry a man she’s never met, Norwegian Olaf Torvik. But with World War I a recent and painful memory, Olaf’s community condemns the match, delaying the marriage. The events of this waiting period–the challenges faced, relationships built, and lives changed—are the heart of the musical’s story. Molli Corcoran and Tyler Todd Kimmel in Sweet Land, the Musical at Taproot Theatre. Photo by Erik Stuhaug. The piece is a tour de force for Molli Corcoran (Inge) and Tyler Todd Kimmel (Olaf), who carry the story with moving, grounded brilliance. Corcoran’s vocal versatility and acting ability are immediately evident in her introductory song, which clearly establishes both her talent and Inge’s character (kudos to composer Dina Maccabee and lyricist Laurie Flanigan Hegge for the soaring work of storytelling that is the score). The tough, loving, courageous “mail-order bride” Inge is unafraid to be the voice of reason and to act in defiance of “what people will think.” Her “strength, power, and grace” are some of the first things to strike her fiancé. Olaf is a man of few words—yet Kimmel skillfully creates the character through his striking physicality and presence. Long before he has spoken, the audience knows Olaf well, and, in moments when the stage is full of movement and sound, it is the still, shy farmer who draws the audience’s eye. While waiting for the outside approval the community requires before allowing their marriage, Inge and Olaf come to understand and love one another. Their blossoming relationship—conveyed as much through wordless glances and softening physicality as through words—is a joy to watch. Brownie and Alvin Frandsen (played by April Poland and Chris Shea, respectively) offer contrasting and complementary enthusiasm, loquaciousness, and levity as they alone support—and are ultimately supported alone by—Inge and Olaf. Notable among the many less supportive members of the community (played by a small but versatile ensemble) is Hugh Hastings as Pastor Sorensen, the minister who refuses to marry Inge and Olaf and who plays a large role in turning the community against the couple. Hastings and the writers of the musical’s book, Perring Post and Laurie Flanigan Hegge,make this character (who could easily become the stereotypical uber-conservative villain) refreshingly believable, complex, and ultimately redeemable. April Poland, Michael Winters, Molli Corcoran, Tyler Todd Kimmel and Chris Shea in Sweet Land, the Musical at Taproot Theatre. Photo by Erik Stuhaug. A meaningful simplicity pervades the musical: seamless pedestrian choreography by Katy Tabb consistently creates the world of Sweet Land and advances its story. Many unassuming moments are imbued with moving significance by director Karen Lund and her skilled company of actors. The story of an ancestor immigrating to America to start a new life is a familiar piece of family history for many Americans—but in the context of today’s headlines, an immigrant story bears additional, emotionally charged, potentially divisive significance. The musical connects thoughts on immigrants past and present, as the town’s sudden harsh suspicion of Inge as the foreign “other” is painfully familiar. But as the play progresses, one forgets that it is an “immigrant story,” as audiences recognize themselves in its portrayal of universal human experiences: difficulty communicating, making mistakes, dealing with conflict, giving and facing judgement, courage, defiance, sacrifice, love, and acceptance. And maybe that’s the point: when one strips away the labels slapped on the unfamiliar ones, or on the ones who think or act differently, what is left are humans who are not so different after all. Sweet Land is a powerful challenge to see each other not as ‘us and them,’ but first and foremost as fellow humans, and to treat each other accordingly with respect, empathy, and love. 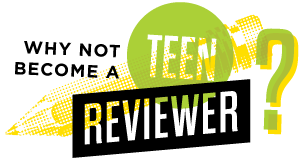 Newer: Announcing the Teen Editorial Staff!